Feast with us at our traditional Thanksgiving dinner at Historic Timberline Lodge. Holiday menus include traditional items, as well as specialty game meats and seasonal accompaniments. To join in on the tradition call 503-622-0763. Join us in exploring 220 acres of newly opened terrain in the Still Creek Basin of Timberlines permit area. 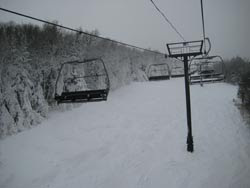 The new Jeff Flood Still Creek Chairlift boasts nine new trails offering skiers and snowboarders room to move, provided by the longest chairlift on Mt. Hood. A one night event in honor of good 'ol Saint Nick. Jib the reindeer for extra points. Mt. Hood's Historic Timberline Lodge is the perfect majestic setting for a magical Christmas Dinner. Christmas Eve features two options - a holiday dinner buffet or a traditional seated dinner. Christmas Day highlights traditional holiday favorites, specialty game items and seasonal accompaniments. Reserve space early to celebrate your holidays in true Timberline tradition by calling 503-622-0763. 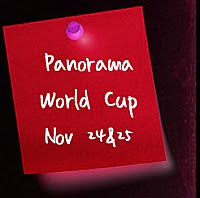 On November 24th and 25th, come and watch TELUS presents World Cup Panorama. Cheer on the world's fastest women as they take on Hay Fever and Old Timer; two new "tracks" that will be firmly etched forever in the minds of those who compete! We will broadcast live on CBC, NBC, and other networks to approximately 40 million people! With another three inches of new snow today combined with the world’s most extensive snowmaking system, we’re offering up to 30 trails and seven lifts for the Thanksgiving Holiday weekend. 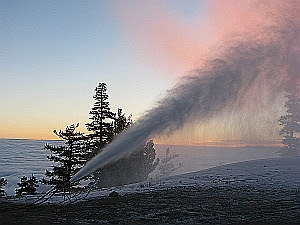 On Friday, the Superstar Express opens serving Superstar Headwall, Bittersweet and Skyelark. 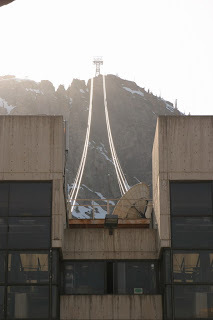 In addition, the Canyon Quad will spin serving Cascade and Lower East Fall. The extended forecast is calling for cold temps right through the weekend so we’ll have the guns going on Lower Superstar, Double Dipper and Ovation. Our new early-season strategy of high-elevation snowmaking and offering only Blue Square and Black Diamond terrain has been a hit with opening weekend guests! 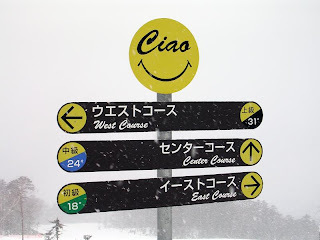 The positive comments for the conditions and vibe this past weekend have been hailed as “the best opening in recent memory.” This is the beginning of a new approach to offering the best ski and snowboard experience on the most diverse terrain in New England! Our scheduled re-open is for this Thanksgiving Thursday with 4 lifts and upwards of 20-24 trails—skiing and riding for all abilities on both sides of the Resort. Always best to call or check out the website before you make the trip though. Check out updates here. New this year? Well, not so much. No shiny arcades. No seaweed wraps or chemical peels. Nobody carrying your equipment from your car for you. Nothing that would, at least potentially, detract you from what makes you, you. And that’s your love of the mountains, and your steadfastness when it comes to honoring those things you value. Like real towns and big snowstorms. Like first call being more important than last call. And like affordable lift tickets not being relegated to bitterly cold January Tuesdays. Given the folks on this list, my preaching is mostly intended for the choir. Though you’re already converted, feel free to use it for those still wandering. Still wondering where they can find a spot that’s like it used to be. Because that’s the way it still is here. We still put the mountains and the snow first. The other stuff, the buffets and film festivals, fall in line squarely behind the skiing and the snowboarding. But you know that. 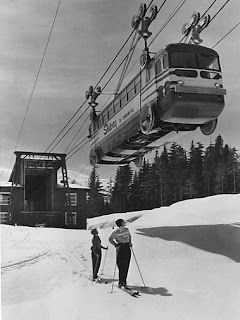 *** Closed for the weekend, Gone skiing ! field at the top of this page.